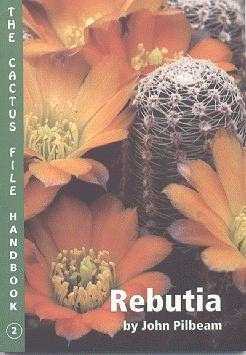 The second book in The Cactus File series tackles a very popular group of plants which presents a bewildering range of variations and forms and consequently is, to date, the largest publication in this series. I have always found it difficult to understand the relationships between the various groups and species and John Pilbeam's lucid text makes this as easy as possible. Some of the difficulties arise from the many names which have been published by various authors, sometimes superfluously, and also by the large number of forms in cultivation under collector's numbers. The extensive section in the book on superfluous names and list of collector's numbers will be particularly useful in this respect, as will the detailed literature references given under the accepted species names. As in the first volume of the series, Bill Weightman's photographs accurately depict the appearance and flowers of these plants, making this the ideal reference work for both beginners and more specialist collectors. As I would imagine has happened with some of John's previously published books, this publication can only enhance the popularity of the genus. Prices and availability Hardback, Softback.